Inverted pendulum is a highly unstable, nonlinear and an under-actuated system. Its dynamics resembles many real-time systems such as segways, self-balancing robots, vertical take-off and landing aircraft (VTOL) and crane lifting containers etc. These real-time applications demand the need of a robust controller. In literature, many different control strategies have been discussed to stabilize an inverted pendulum, out of them, the most robust being fuzzy control and sliding mode control. The former is difficult to tune and has a problem of rule explosion for multivariable system, whereas the latter has a problem of discontinuity and chattering. To address the issues in fuzzy controller, a novel robust linear quadratic regulator (LQR) based adaptive-network fuzzy inference system (ANFIS) controller is proposed and implemented on the stabilization of x and x-y inverted pendulums. These pendulums differ from each other in degrees-of-freedom, complexity of the mathematical model and their respective degree of under-actuation. The proposed controller is able to solve the problem of robustness in the LQR controller as well as the difficulty in tuning along with rule explosion in fuzzy controller. Furthermore, the designed controller is tested for different pendulum masses and the results show that as compared with conventional PID controller, the proposed controller gives better performance in achieving lesser overshoot and settling time along with better robustness properties. 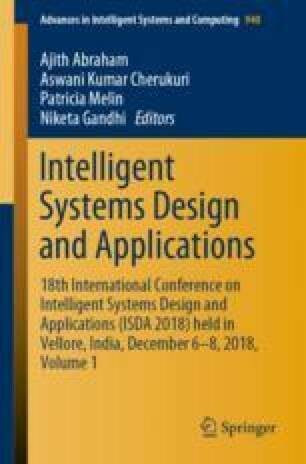 The authors are grateful to the Thapar Institute of Engineering and Technology (TIET), Patiala for providing the financial support under seed money grant project (TU/DORSP/57/426, 28-03-2017) to perform this research.